Zubeida Agha was born in Faisalabad in 1922. 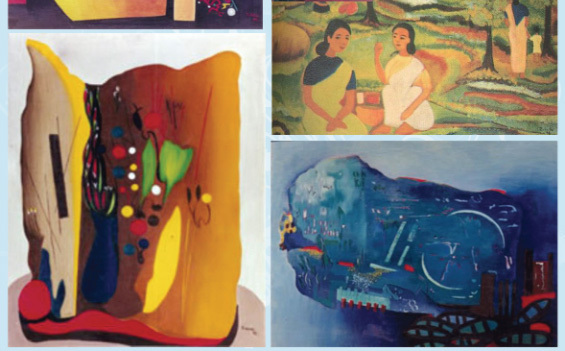 She introduced non-traditional pictorial imagery in Pakistan and initiated a new era in painting. She completed a degree in political science at Kinnaird College, Lahore. Her introverted disposition and concentrated study of philosophy formed the background against which her abstract idea paintings emerged. At the Lahore School of Fine Art in 1945, Agha began a study of Western art.